Most if not everything has been done in this very well updated 3 bedroom , 2 bath, 2 car garage pool home with detached work shed and additional two car detached garage. This is truly an AMAZING home. This home offers a newer kitchen with bamboo counter tops, newer appliances, stainless farm sink, newer cabinets with under mount led, pendants and track lighting. The bathrooms have also been updated with adjustable multi head rain shower, multiple bowl sinks newer vanities, paint and floors. The large open living room with office built in, the large family room and centered kitchen with double pantries allow for an awesome floor plan with great flow. The wood burning fire place is currently being used as gas along with central vac and remote control fans through out are just a few of the extras. The exterior is just as breath taking as the interior. You can sit out on your pool deck and or open large pocket sliders from in that open up into the pool. The rear of the property has a narrow water way to allow for drainage, additional buffer between neighbors and privacy. 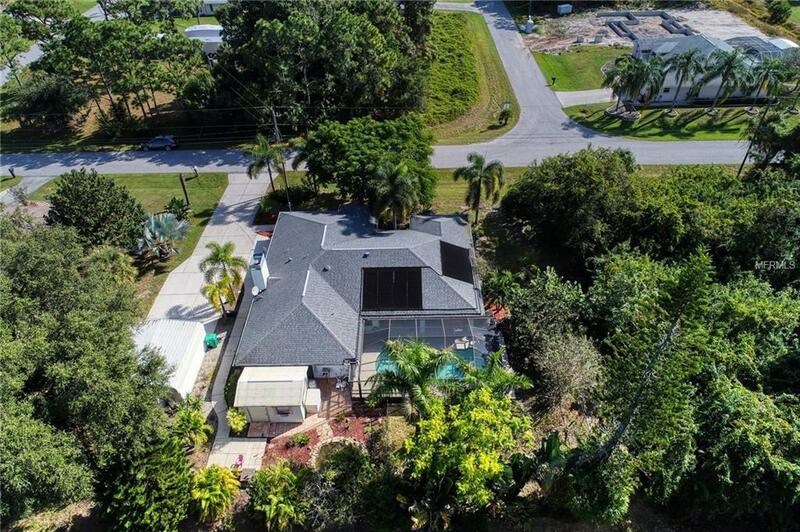 The Over-sized land with about 15,500 sq ft. (double lot next door may also be available to make for over one acre) and mature landscaping make for little to do. The exterior also offers an 220 outlets, brand new AC and water RV hook up, well for sprinkler system, Koi pond with waterfall, alarm system with lights, detached wood work shop (with AC) and an additional detached two car garage and or additional storage with electric.